Now that we have modified the IAM role for the worker nodes to permit write operations to the X-Ray service, we are going to deploy the X-Ray DaemonSet to the EKS cluster. The X-Ray daemon will be deployed to each worker node in the EKS cluster. For reference, see the example implementation used in this module. The AWS X-Ray SDKs are used to instrument your microservices. 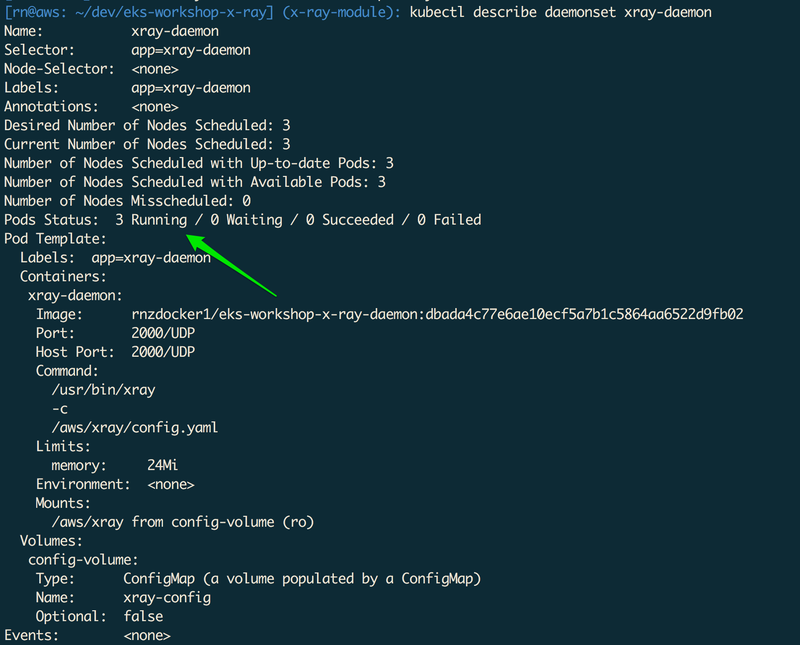 When using the DaemonSet in the example implementation, you need to configure it to point to xray-service.default:2000. The following showcases how to configure the X-Ray SDK for Go. This is merely an example and not a required step in the workshop.